Genus of about 1400 species of annuals, herbaceous perennials, and evergreen, semi-evergreen and deciduous shrubs, trees and twining climbers from a worldwide range of habitats. Includes the potato, tomato and aubergine familes. Natives comprise the 2 nightshades S. dulcamara, woody nightshade or bittersweet and S. nigrum, black nightshade. 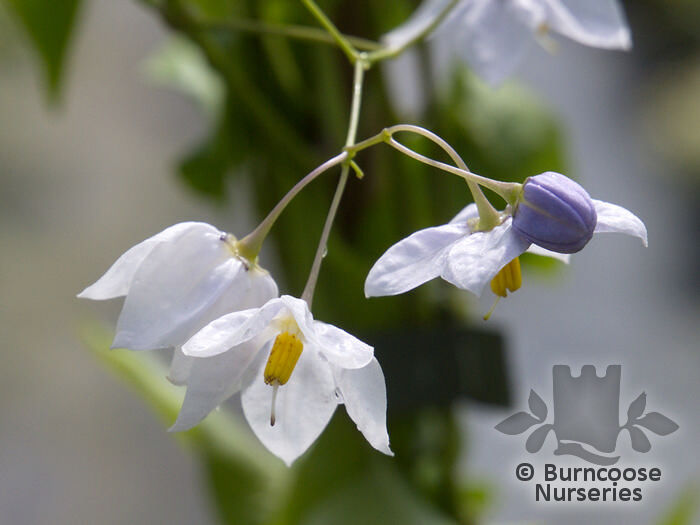 Atropa belladonna, deadly nightshade, although in the same family is a different, distinct plant. Caution, toxic if eaten - Do not eat these plants. Additional Features	- Good to know - 1400 species of annuals, biennials, herbaceous perennials, evergreen, semi-evergreen and deciduous shrubs and twining climbers. Includes potato and aubergine. 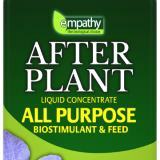 Pests & Diseases - under glass - aphids, red spider mite, tomato spotted wilt, grey mould. 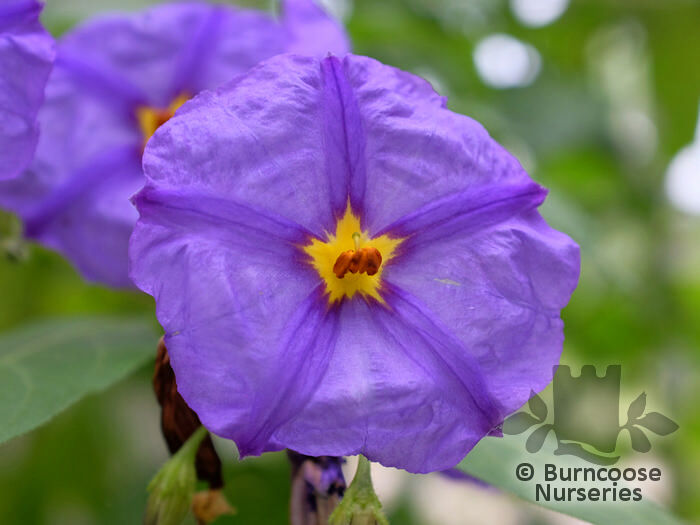 Commonly known as: Chilean potato tree. 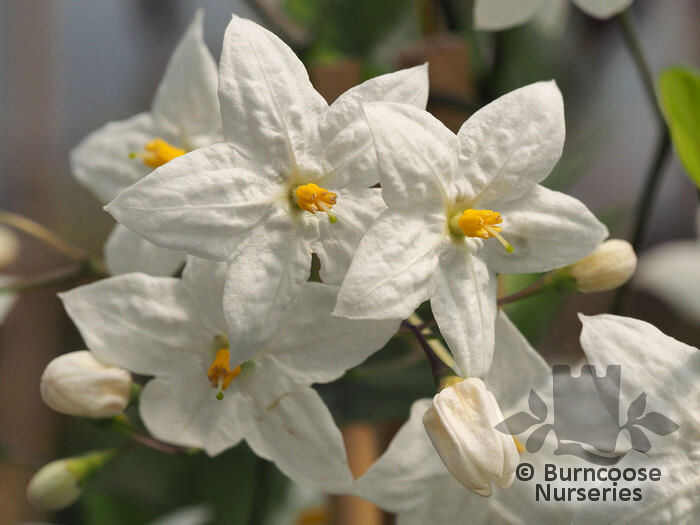 Commonly known as: Jasmine nightshade, Potato vine. 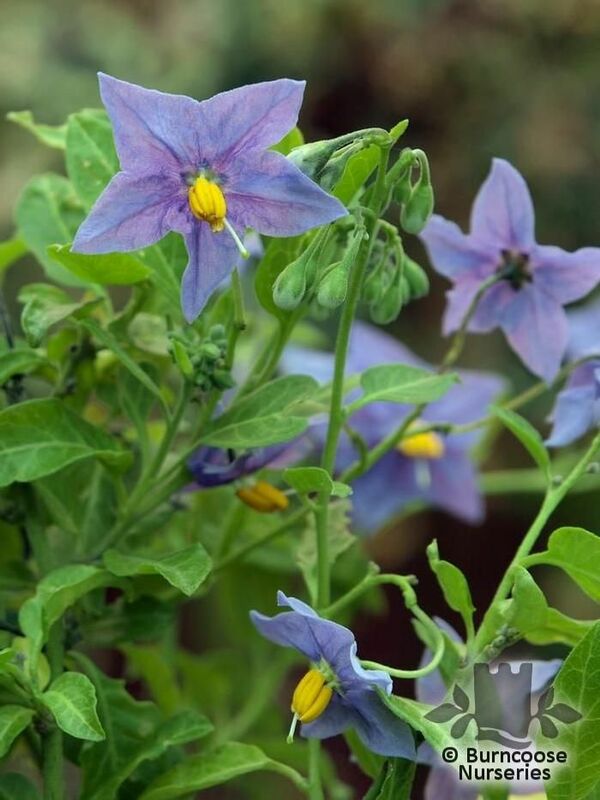 Commonly known as: Blue potato bush, Paraguay nightshade.